Kobe Bryant scored a game-high 38 points and became the youngest player in NBA history to surpass the 31,000-point mark as the Los Angeles Lakers beat the Dallas Mavericks 103-99.Five-time NBA champion Bryant, who scored 14 of his points in the final quarter, also had 12 rebounds and seven assists and reached the 31,000 milestone at 34 years, 185 days. Hall of Famer Wilt Chamberlain had the old mark at 36 years, 164 days. Steve Nash finished with 20 points and Dwight Howard grabbed 13 rebounds and nine points for the Lakers, who have won five straight games in Dallas. Nash is playing with a sore back. Dirk Nowitzki had 30 points and 13 rebounds for Dallas, who had their three-game win streak snapped. Veteran Vince Carter and Elton Brand scored 15 and 14 points respectively. Dallas trailed by two 99-97 with just over a minute to play. Bryant and Nowitzki then exchanged field goals, and after Metta World Peace made one of two free throws, the Mavericks had the ball down by three with 16.8 seconds to play. OJ Mayo got an open shot at a corner three, but his attempt missed and Bryant grabbed the rebound before sinking one-of-two at the line to seal the outcome. 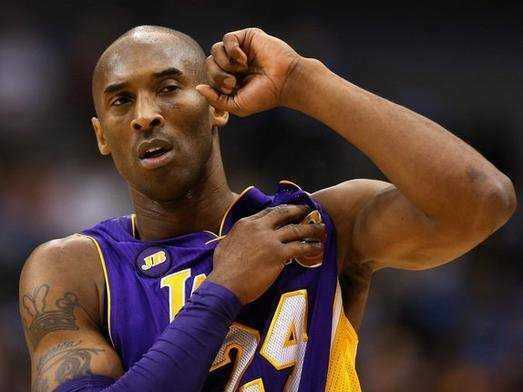 Bryant, a 15-time All-Star, finished just shy of posting his sixth 40-point game this season. With Bryant carrying the load offensively, the Lakers have won three straight contests as they battle to get into playoff contention. Bryant scored 40 points in a 111-107 win over Portland on Friday. The loss also snapped the Mavericks’ string of six consecutive games scoring at least 100 points and it was just the third time in the last 19 contests they did not reach 100 points.